"At her current price of around 13/2, she makes plenty of appeal." The opening weekend of the six week-long meeting at Saratoga is as classy as ever, with Grade 1 races on both Saturday and Sunday. Fillies and mares take centre stage both days, the Saturday feature being the Diana Stakes (23:18 BST), a nine-furlong turf contest. As so often in the top North American turf races, Chad Brown holds a strong hand, fielding no less than three of the seven runners. It's tough to separate his two main contenders, A Raving Beauty and Sistercharlie, who are both Grade 1 winners since joining the Brown barn from Europe. The latter won the Jenny Wiley Stakes at Keeneland in April before just being touched off in Grade 2 company at Belmont last time, a race she probably should have won after being caught too far out of her ground. A Raving Beauty makes just her third start for her current handler having won the Just a Game Stakes at Belmont last time by three quarters of a length from another of this field, Proctor's Ledge, more of whom later. That win followed on from her US debut, where she ran out a convincing winner of a Grade 3 contest, also at Belmont. Previously trained by Andreas Suborics in Germany, A Raving Beauty had looked a little shy of the top level in Europe, but has been galvanised by a switch to the Brown stable. New Money Honey makes up Brown's trio, and would also have claims if recapturing her best. A winner of the Belmont Oaks last year (beating Sistercharlie), New Money Honey rather lost her way a little after, but returned with a win in allowance optional claiming company at Belmont in June. She can't totally be ruled out if Brown has her back in top form. With Brown's three fillies likely to take a good chunk of the market, the one to be with may well be Proctor's Ledge. As previously mentioned, she was beaten just under a length by A Raving Beauty last time, but is now 8 lb better off at the weights. Arguably, she didn't have the run of the race either that day, and could be marked up a little. She has ground to make up with Sistercharlie on Keeneland running in April, but she was clearly under-par there, and is very much up to this class on her day. At her current price of around 13/2, she makes plenty of appeal. 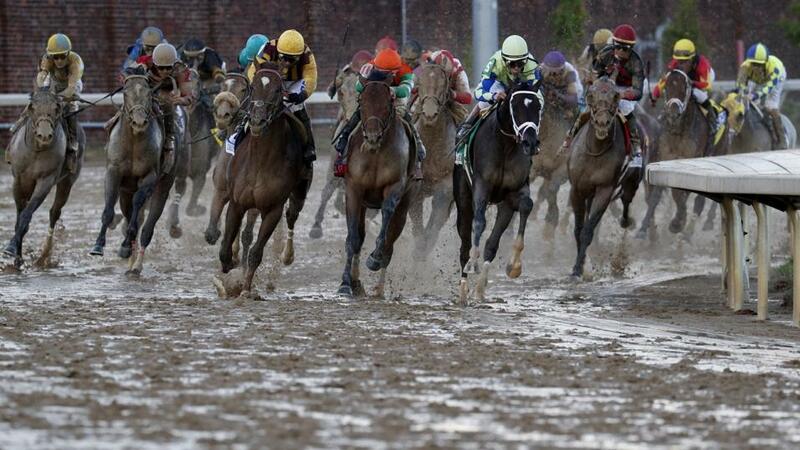 Sunday's feature, the Coaching Club American Oaks (22:40 BST), a nine-furlong dirt affair, looks much less competitive. Kentucky Oaks first and third, Monomoy Girl and Midnight Bisou look to have it between them, and it will be a major surprise if one of them doesn't come out on top. Monomoy Girl has gone on to win the Acorn Stakes at Belmont since her win at Churchill Downs, while Midnight Bisou has also been triumphant at that track, easily winning a Grade 2 contest. Both fillies arrive in top form, and this looks a race to watch rather than bet in.